This year on my son's school supply list were headphones for using on the computer. Since these will be the first headphones my son has ever used, I was a little nervous. I don't want his hearing wrecked but I want him to enjoy the computer at school. So I immediately thought of Kidz Gear and their awesome Wired Headphones which feature the unique KidzControl™ Volume Limit Technology for a safe listening experience while helping to protect children’s hearing. Kidz Gear Headphones is the parent’s and children’s choice for headphones for safe listening, with numerous industry awards for their innovative technology, including the Creative Child, iParenting Media, iParenting Hot, Academics Choice, NAPPA, and Babble Awards. 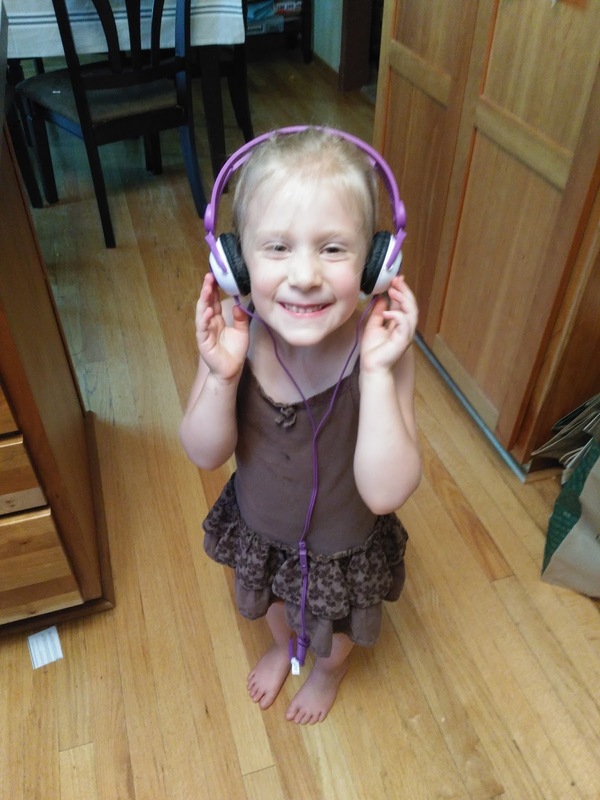 Kidz Gear is essential audio gear for children. All Kidz Gear Headphones for Kids are designed specifically for children and deliver a high-quality adult-like audio experience when used with all audio devices, including iPhones, iPads, Kindles, Nooks, Android smartphones, tablets, and computers. My children received the Standard pair of Kidz Gear KidzControl Volume Limit Headphones and I LOVE that they are designed with the highest quality audio components available. This ensures your child will have the best and most importantly safest listening experience possible. My son and daughter are SO excited to have their own headphones for the first time and I am so happy their hearing is safe because they own Kidz Gear headphones! These headphones are the safest headphones available for the little ones. They are a must for children in the car, on the plane or hanging out at home. You can purchase Kidz Gear Wired Headphones for $19.99 each. All Kidz Gear products are available directly from Kidz Gear at www.GearForKidz.com, and select retailers and online sites. Love the idea of kid friendly headphone! Are these good for toddlers? Thanks for your comment! Yes, these are great! I believe they are for toddlers but you may want to reach out to the company and find out for sure what age group they are for. My 4 year old used them and they fit great!